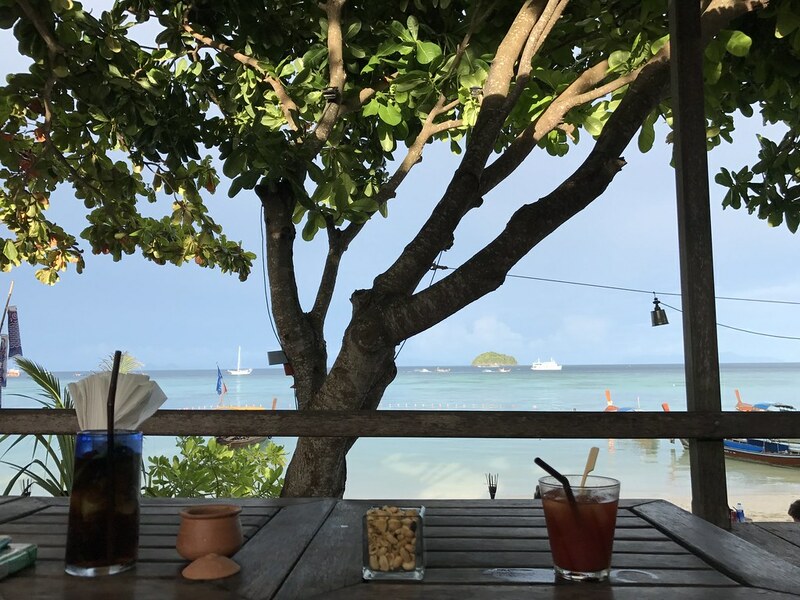 It’s a weekday afternoon and you wished you were sipping on a Pina colada overlooking the azure blue ocean whilst digging your toes into the sand – but instead, you’re squinting your eyes at the computer screen trying to make sense of workflows and processes. We may not dislike our job but there’s always the urge to get away, even if it’s just for a short weekend. 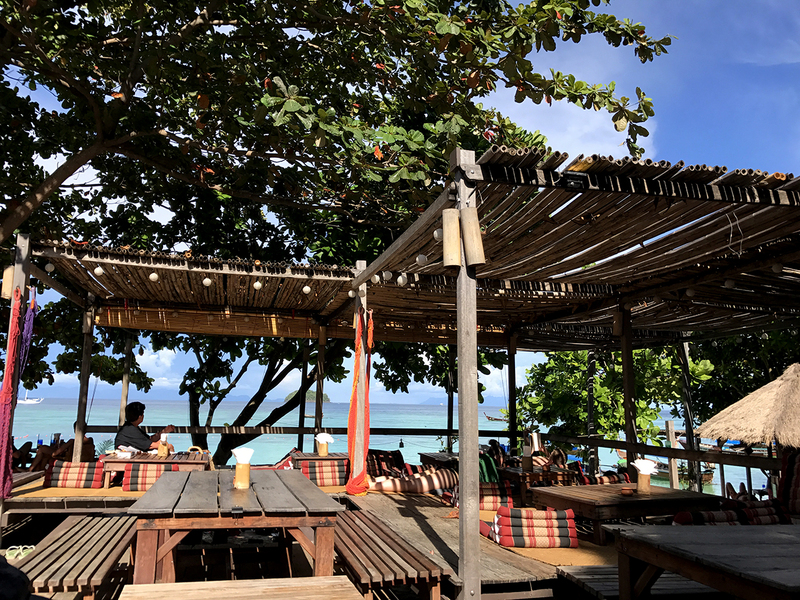 That was what I found myself doing on a Tuesday night not too long ago; booking a return flight to Langkawi and ferry to Koh Lipe for my get away. 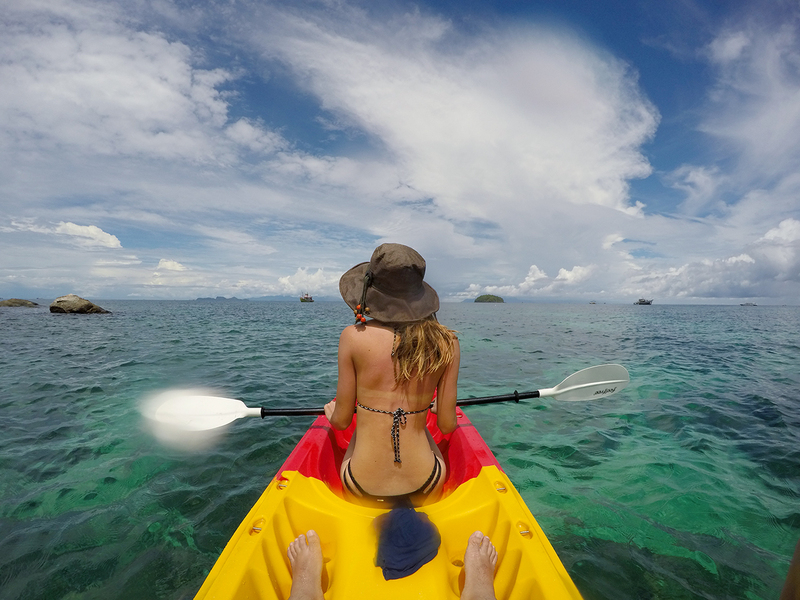 Koh Lipe has been gaining popularity in recent years, known for its beauty and relatively untouched marine life. It is also quite easy for us Malaysians to access seeing how it’s only a 90-minute ferry ride from Langkawi. A bonus excuse for an impromptu trip involving a domestic flight as the airfare was not ridiculously priced, considering I only booked it 4 days before departure (RM300 return/per person) via Malindo Air. 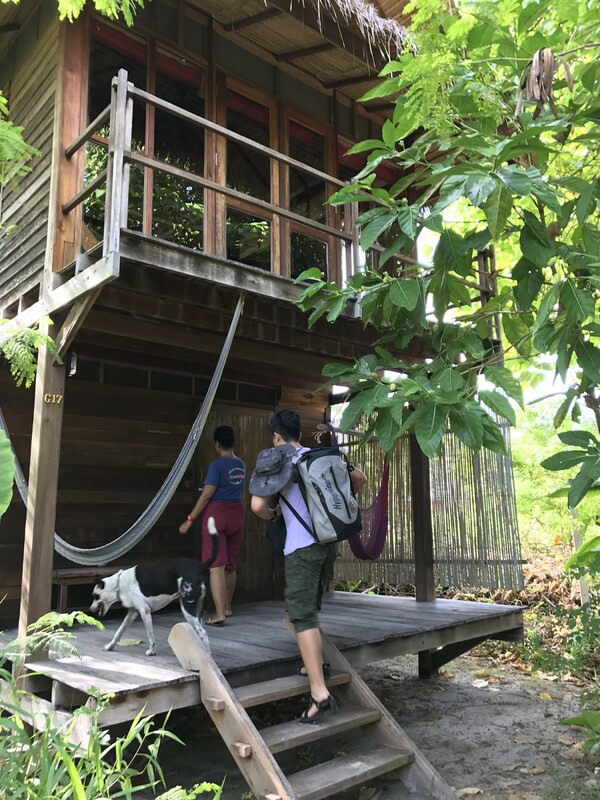 As for accommodation, I looked at Booking.com for the best deals and managed to find a ‘breezy garden bungalow’ at Castaway Resort for RM300+ a night, knowing full well it would have cost at least 20% cheaper 3 months ago, no thanks to our weaker currency. 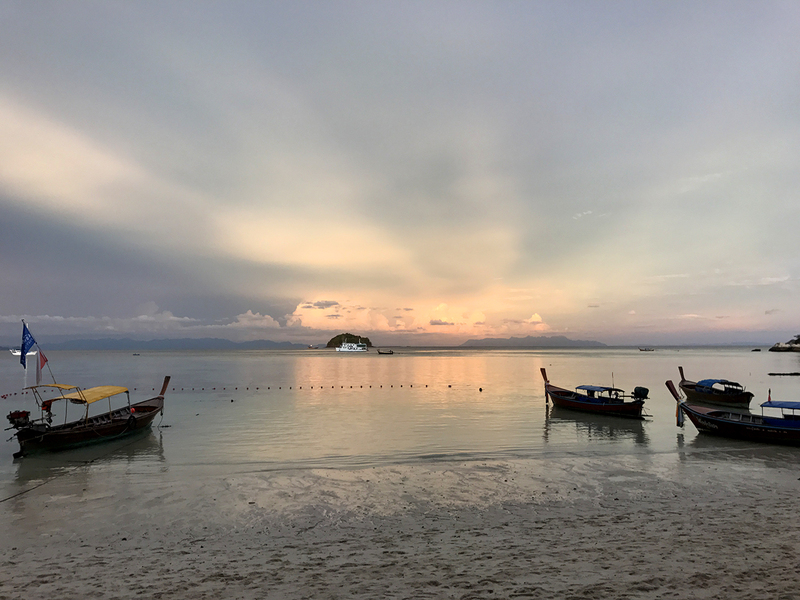 The ferry from Langkawi to Koh Lipe wasn’t the cheapest at RM233 return/per person but it did the job and got us where we needed to be, hassle-free. Upon arrival and getting through immigration, we took a motorcycle taxi (50 baht per person) to get to Castaway Resort, which we later found out would’ve taken us 20 minutes by foot. 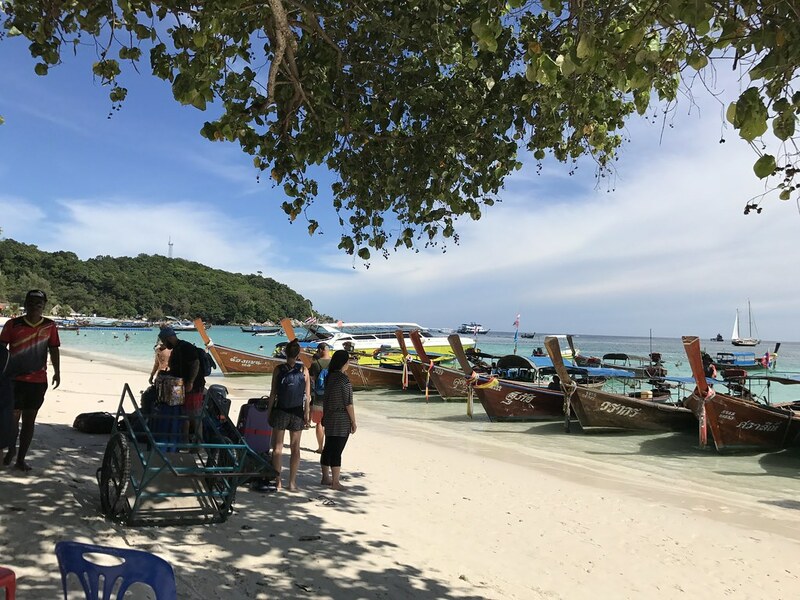 There are 3 main beaches on Koh Lipe – Sunrise Beach, Sunset Beach and Pattaya Beach; the latter being the ‘main’ beach on the island (think Long Beach, Perhentian Kecil). Castaway Resort is situated on Sunrise Beach which is reputed to be the nicest beach on the island. 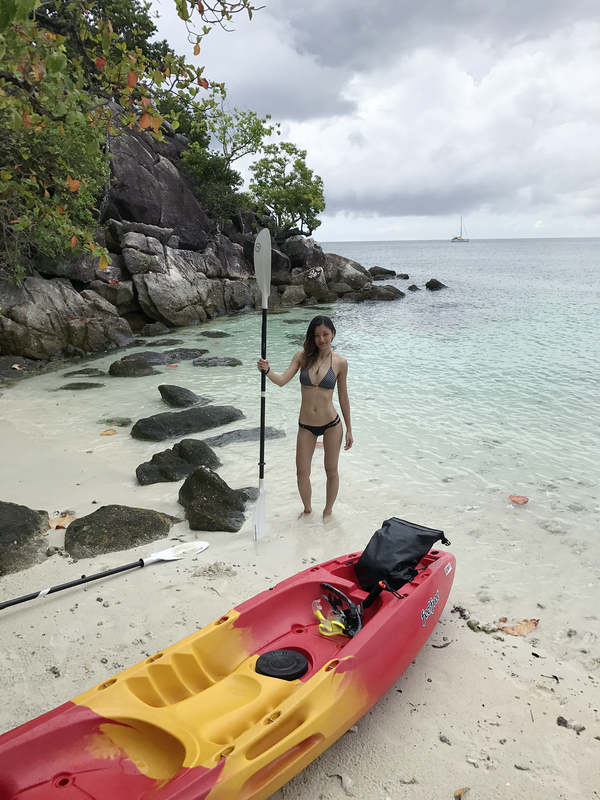 The Resort’s facilities include a dive centre, equipment rental for snorkelling and paddle boarding, kayaking, daily yoga sessions and massage/spa services. 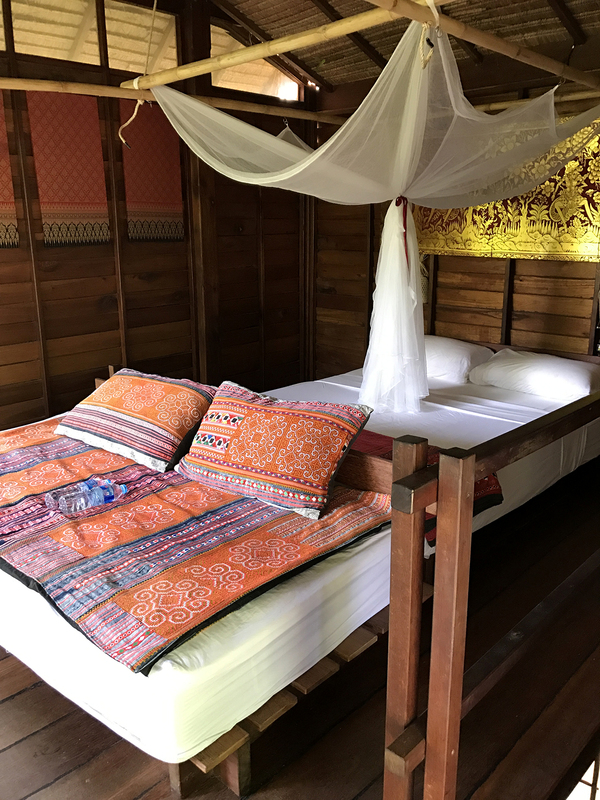 As for the accommodation, the rooms were sufficiently comfortable although the ‘garden’ was more of a jungle and we ended up having to purchase a box of mosquito coil on our first night. 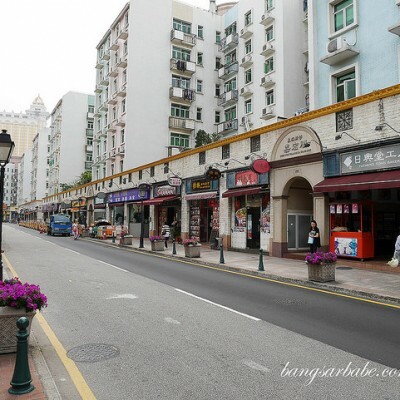 In the evening, we explored ‘Walking Street’ which is where majority of the tourists end up going to for their sundry shop/pharmaceutical supplies, souvenirs, street food, restaurants and bars. 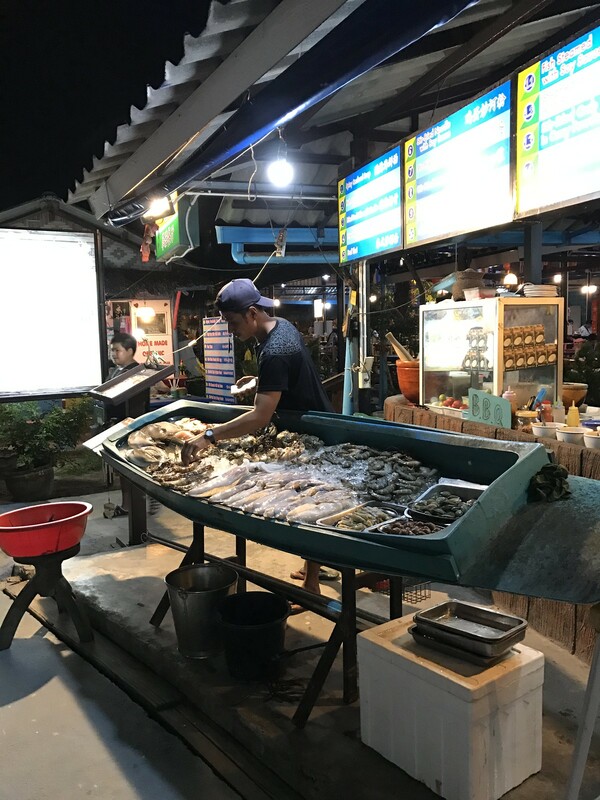 You just might find yourself walking the whole length of the street twice just to decide on dinner as there was plenty of fresh seafood on display. 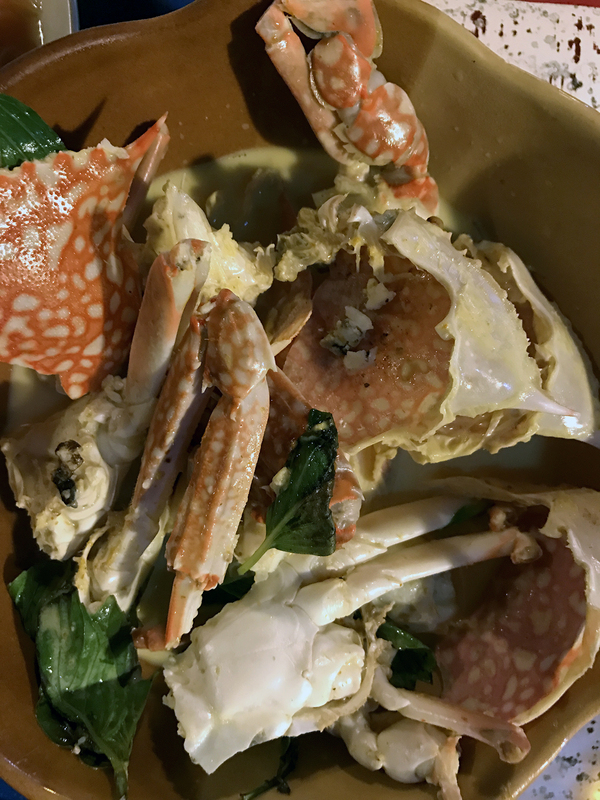 In the end, we settled for a small local eatery ‘Nee Papaya’ and order Seafood Tom Yum (no surprise here! 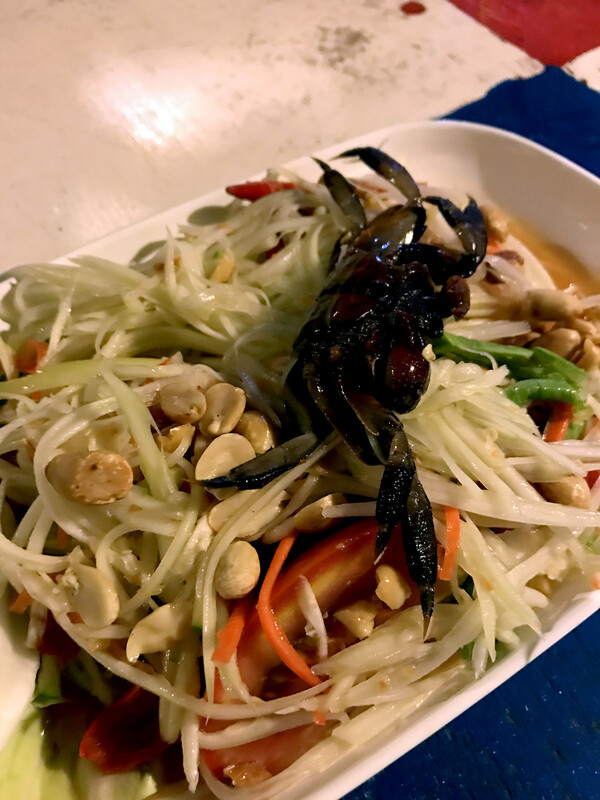 ), Crab curry and papaya salad and 2 large beers. The total bill came up to 1000 baht which I felt was quite reasonable. 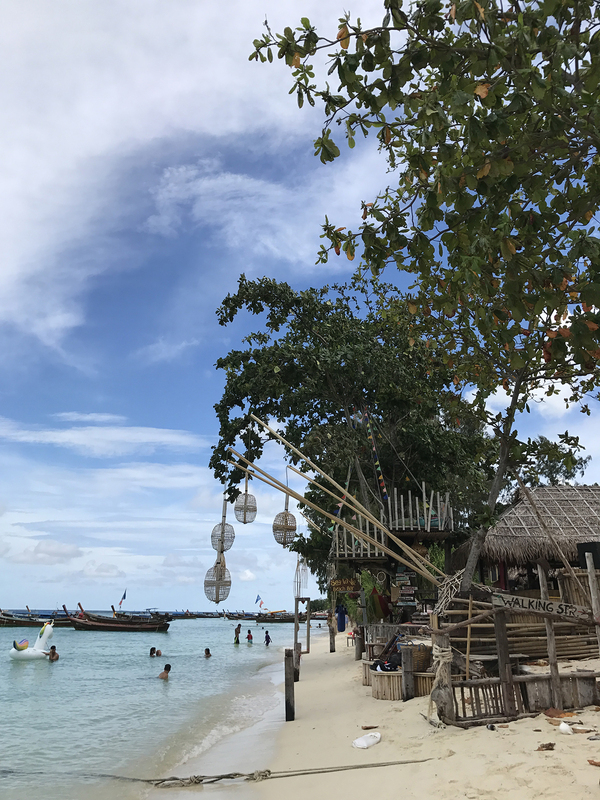 On our second day, we booked a half day Snorkelling trip from Coco Beach Bungalows just next to Castaway Resort at 500 Baht per person – a steal in comparison to similar packages being offered on Walking Street. 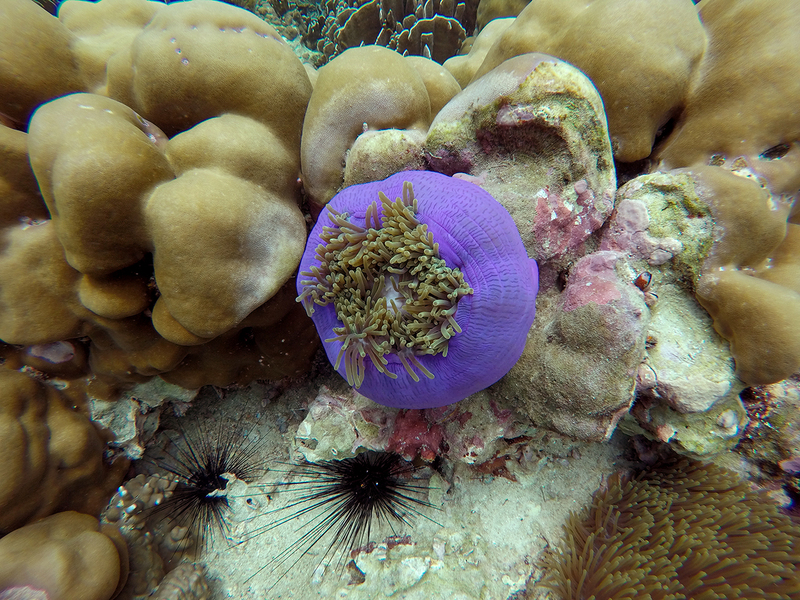 We were slightly unfortunate with the weather as it was cloudy and raining off and on, but that aside, snorkelling was great. 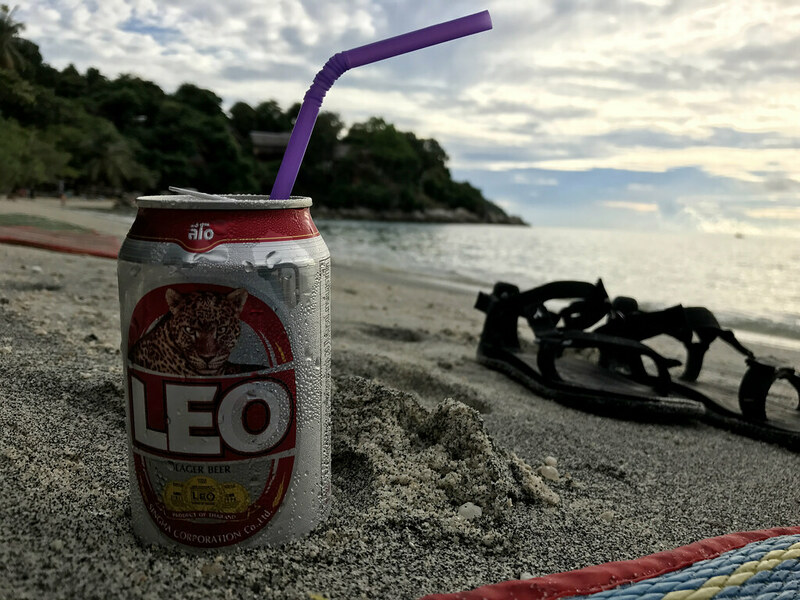 At the risk of sounding old, we liked the fact that Koh Lipe isn’t a ‘party island’ in comparison to Koh Phangan, Phuket and even Koh Phi Phi. That said, the island is not as pristine as the old days but on the bright side, locals are taking waste management seriously and this is evident throughout the island with proper recycling stations and awareness posters/notices. 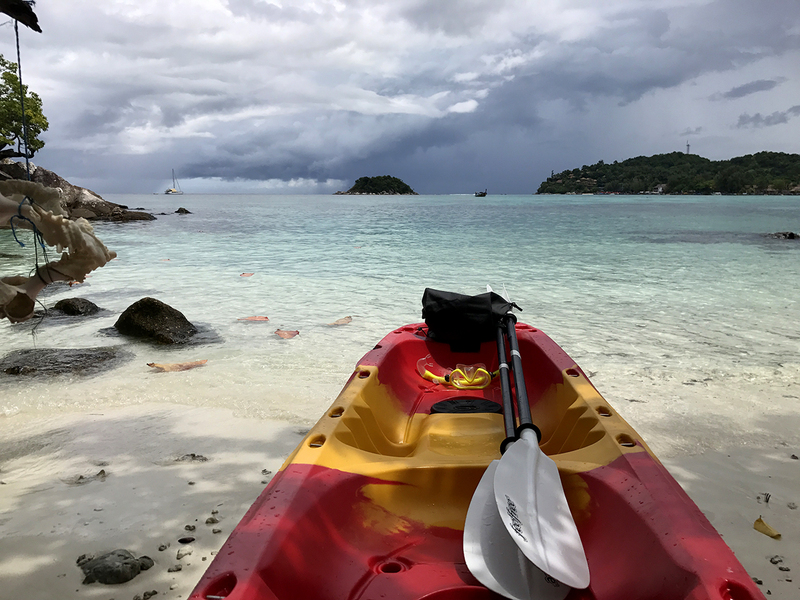 We spent our last day renting a kayak (500 baht) and managed to kayak to two nearby islands (Koh Kra and Koh To Sen), both within 30 minutes from Sunrise Beach. Again, we were unlucky to encounter some light showers in between but thankfully, the clouds cleared by mid-day. 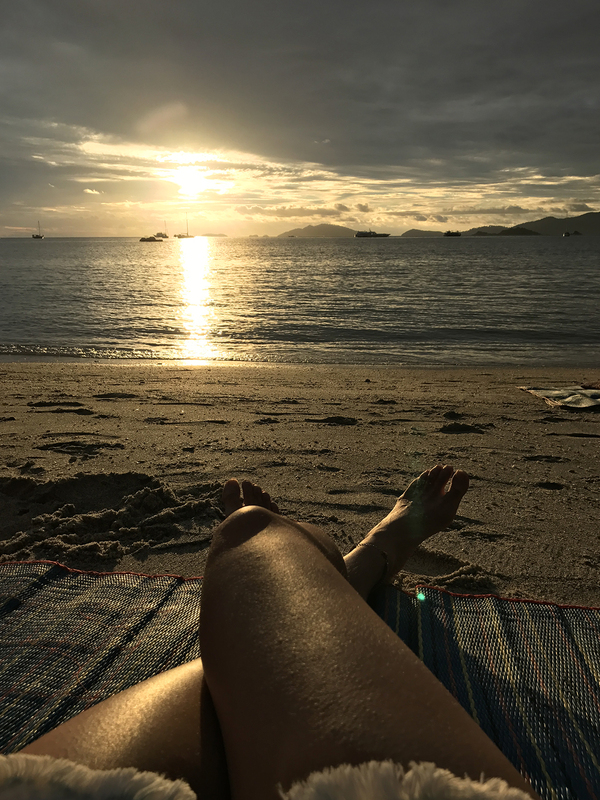 Not one to miss out on stunning sunset views, we leisurely enjoyed watching daylight turn to dusk with overpriced happy hour drinks from a makeshift bar on Sunset Beach. 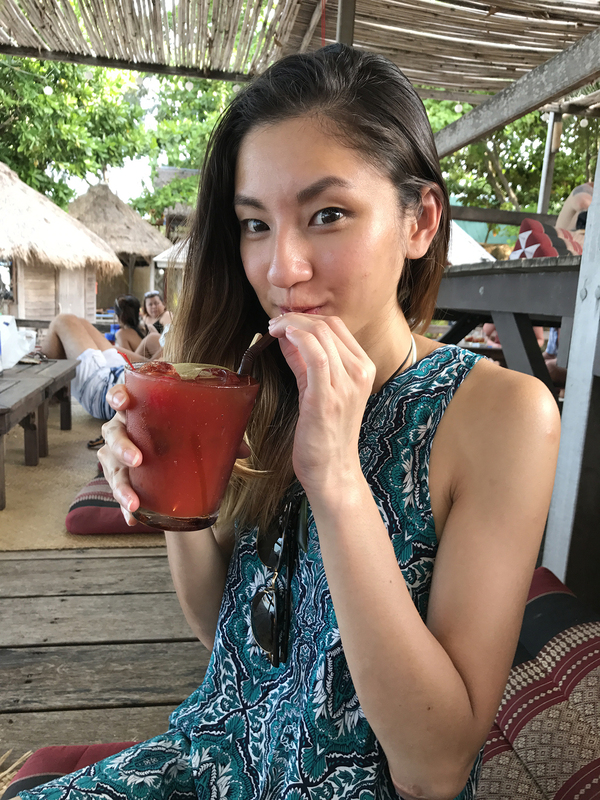 Holidays can either leave you feeling drained or recharged by the end of it, and I’m happy to say that this short getaway was a good way for my other half and I to hit the reset button. There are two ferries departing Langkawi to Koh Lipe daily (9.30 AM and 2.30 PM) and similarly, from Koh Lipe to Langkawi (10.30 AM and 2.30 PM). We took the ferry via Telaga Terminal, which is only 15-20 minutes away from Langkawi airport. Do note the 1 hour time difference when arranging your flights and ferry departure/arrival times. 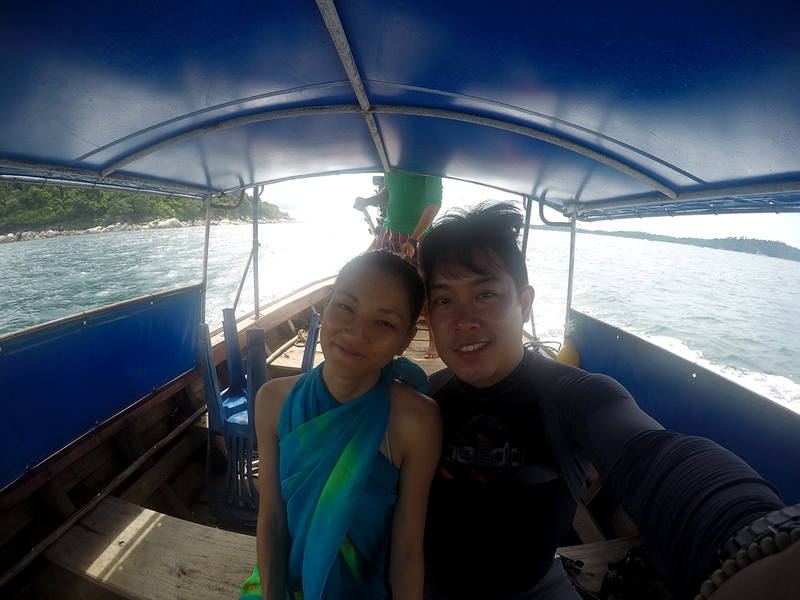 Don’t forget to bring your passport as you’ll need to go through immigration in Langkawi and Koh Lipe. 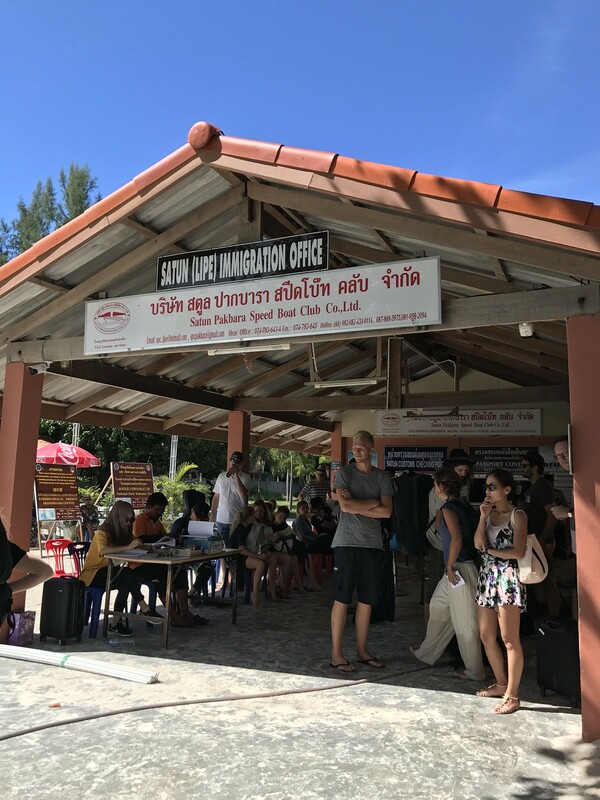 The immigration process in Koh Lipe is a little disorganised and slow but should not take more than an hour to get through. Most places within the island can be covered on foot. Alternatively, there are also motorcycle taxis for hire. Do not underestimate the sun, even on a cloudy day. I was surprised to see how sunburnt I was after Day 1 as I did not bother to apply sunblock due to the cloudy weather. 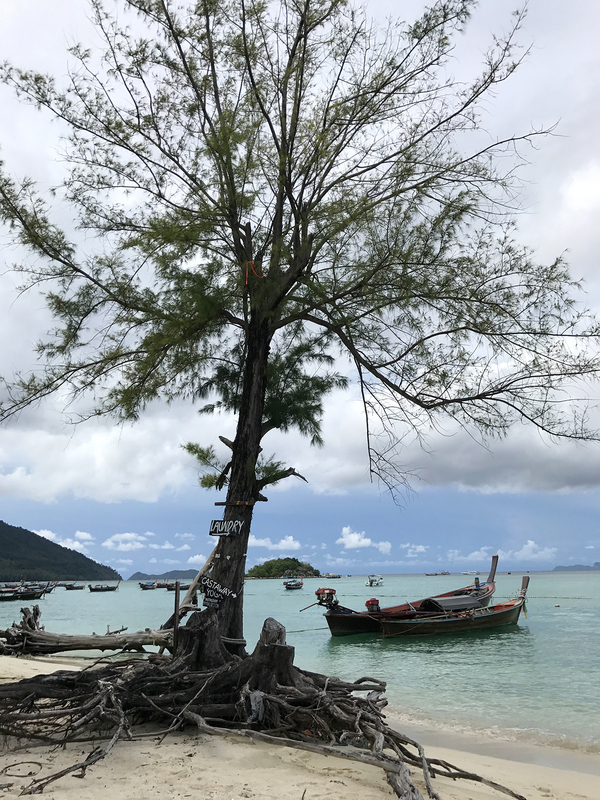 The best time to travel to Koh Lipe is between December till early March, according to the locals. As we travelled nearly towards the end of March, it rained almost 60% throughout our trip. Mosquito repellent is a must if you are planning to spend most of your time outdoors. 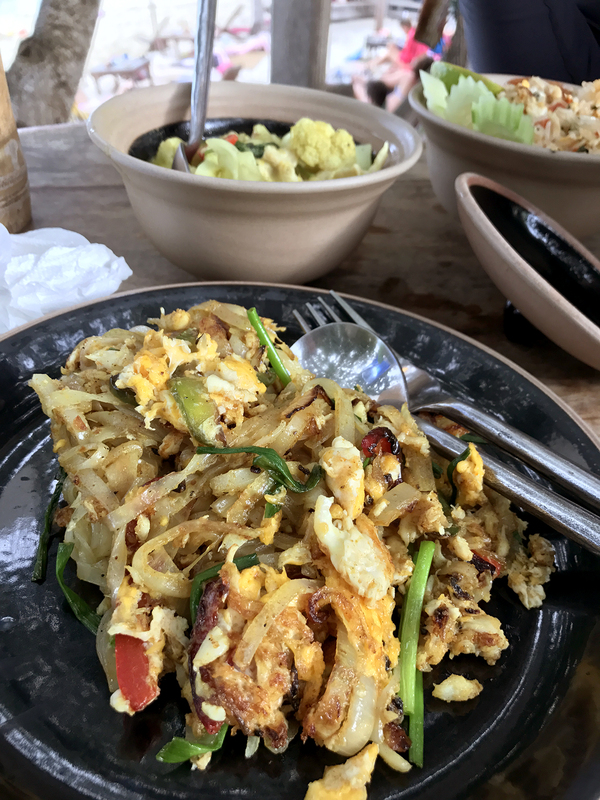 A budget meal could cost 80-150 baht. Prices for seafood ranges between 200 baht to 2000 baht, depending on your preference. There are ATMs and money changers on the island where you will easily find on Walking Street. 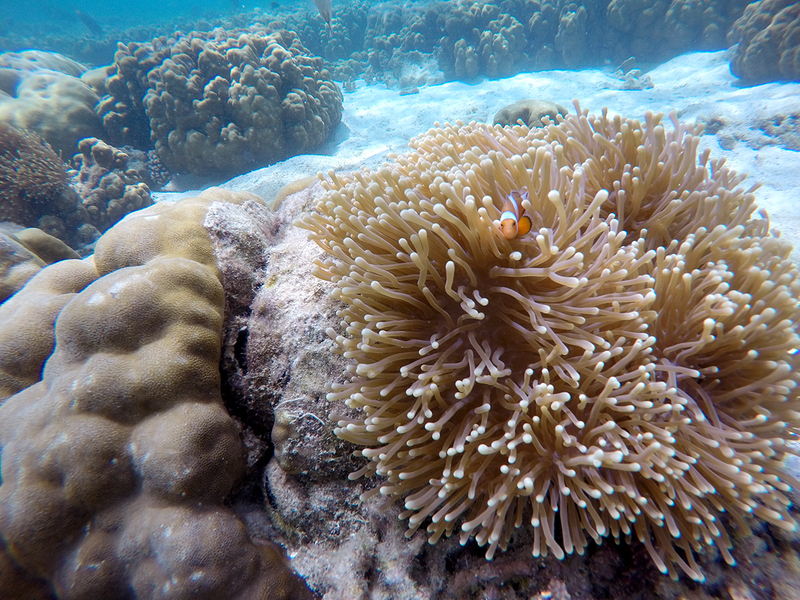 You’ll also need to pay 200 baht per person for the national marine park entry fee. If you are staying at Castaway Resort, bring torch lights to avoid getting lost at night. Most of the pathways are dimly lit and the last thing you want is to feel like you’re trapped in a huge dark jungle maze after a few drinks. Another point to note about the Resort is that there are no hot water showers available in all rooms. Wi-Fi can only be accessed in the lobby with limited connectivity. It will be good to manage your expectations when selecting your accommodation. Be mindful not to litter and make use of allocated recycle bins throughout the island.